La Pobbia 1850 has been assigned the lable “DeCa-Denominazione di Cucina Ambrosiana”, seal of quality assigned from Milan’s Chamber of Commerce, that certifies the “True Milanese Cuisine” and the abidance to specific rules of production and adherence to a high quality standard. La Pobbia 1850 has been awarded the title of “Bottega Storica” ( “Historic workshop of Milan”) by the City of Milan: a qualification for commercial activities that symbolize Milanese history, style and tradition. The “Botteghe storiche” have been defined as an “important element for memory, precious account of culture and tradition, cultural heritage of the City” and have been awarded by the mayor in office with the plaque designed by the architect Bob Noorda. 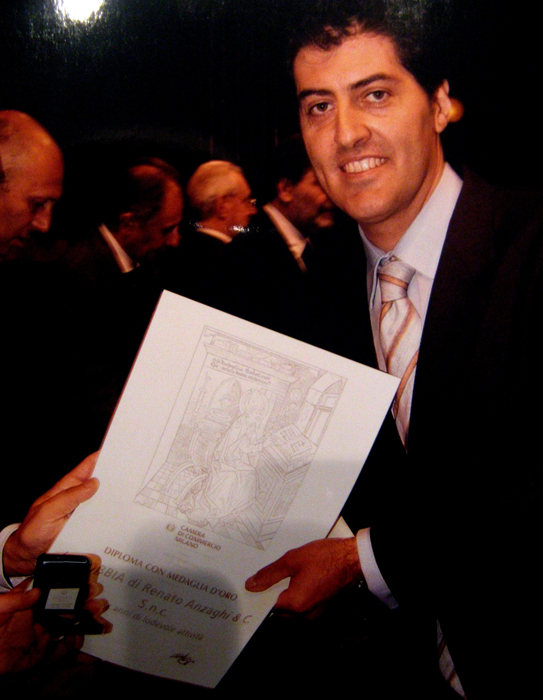 In 2009, La Pobbia 1850 and the Anzaghi family received the “Diploma con Medaglia D’oro” (gold medal award) in the occasion of the “Milano Produttiva” awards at Milan Chamber of Commerce, as a recognition of “ 74 years of commendable business activity”.